Alopecia areata affects nearly 7 million people across the United States. The condition occurs when a person’s immune system mistakenly attacks their hair follicles, causing patchy hair loss on the scalp, face and other areas of the body. The National Alopecia Areata Foundation sponsors a month-long awareness campaign every September in local communities nationwide to bring attention and increase understanding of the disease. To help build awareness, Hair Club, the leading provider of total hair solutions in North America, is sharing information about alopecia areata and customized hair restoration options available for individuals living with the condition. Hair regrowth for people with alopecia areata is dependent on the type and severity of their condition. For some, regrowth can be unpredictable, while for others, hair can regrow within a few months. The condition may also be cyclical, meaning hair can fall out repeatedly over time. For men and women with alopecia areata or any other type of hair loss, Hair Club offers a variety of hair restoration solutions. The company provides free, private consultations where people can learn more about hair loss, the condition of their scalp and which option will give them the results they want. Xtrands+ is Hair Club’s most popular solution. It enables men to dramatically transform their appearance in as little as 4 weeks and women in as little as 6 weeks. Xtrands is a volumizing solution that offers men and women with thinning hair instant fullness. EXT® is a complete hair and scalp health program that includes Minoxidil, the only FDA-approved, clinically studied topical treatment for hair loss. Low-level laser (light) therapy (LLLT) helps regrow hair and slow further loss. This cutting-edge technology offered by Hair Club is clinically studied, FDA-cleared± and easy to use at home. ±Laser Devices are indicated to treat androgenetic alopecia and promote hair growth in males who have Fitzpatrick Skin Types I to IV and Norwood Hamilton Classifications of IIa to V and in females who have Fitzpatrick Skin Types I to IV and Ludwig (Savin) I-4, II-1, II-2 classifications, or frontal patterns of hair loss. The Laser Devices offered by Hair Club are FDA-cleared for men and women and cleared for distribution by Health Canada. For informational purposes only. The information presented herein is general in nature and is not intended to substitute the advice of a physician or other healthcare professional. The exact cause of hair loss can only be determined by a medical professional. 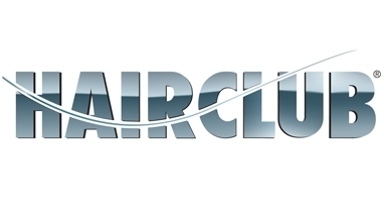 Founded in 1976, Hair Club is North America’s number one provider of total hair loss solutions. For more than 40 years, Hair Club has helped hundreds of thousands restore their hair and transform their lives. Today, Hair Club has nearly 120 locations throughout the United States, Canada, and Puerto Rico, and is a wholly owned subsidiary of Tokyo-based Aderans Co. Ltd., the world’s leading provider of total hair loss solutions. Aderans brands in the U.S. include Bosley®.